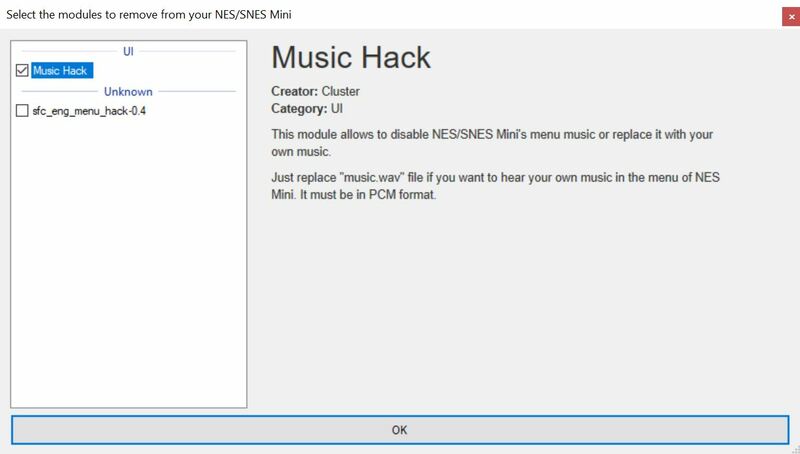 This tutorial will show you how the change the main menu background music on the SNES Classic. 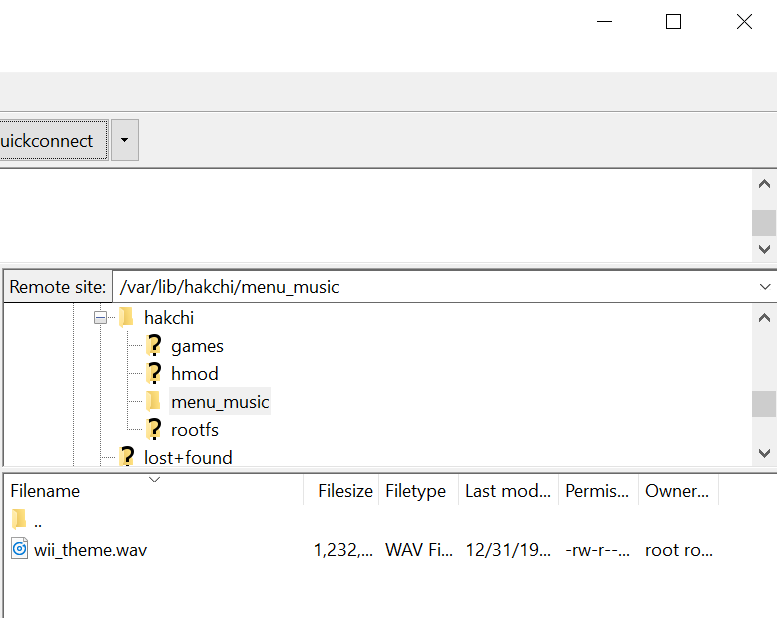 You will be able to add your own custom music to the main menu using the music_hack mod in hakchi2. 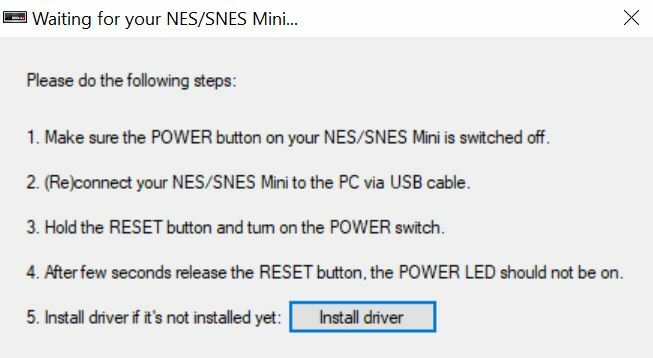 This tutorial is the same and works for both the SNES Classic Mini and NES Classic Mini. 1. 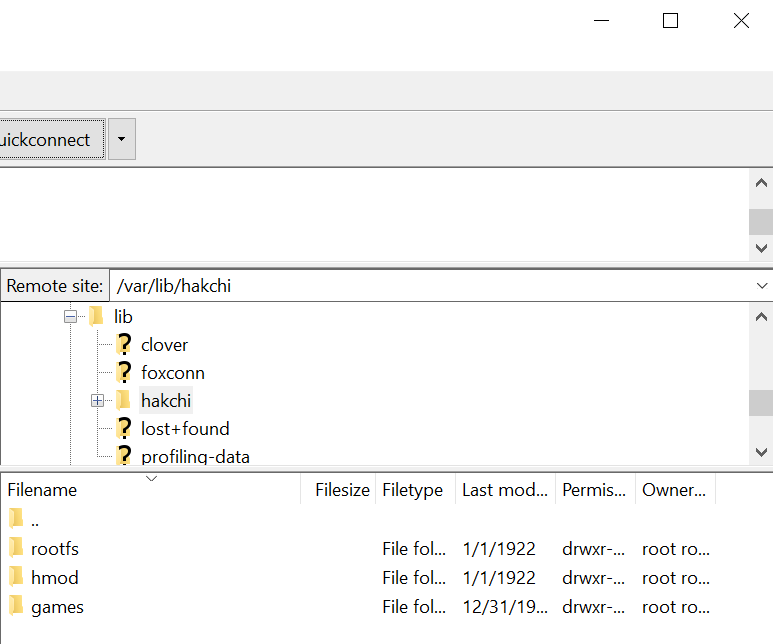 Run hakchi2 and go to Modules > Hakchi Mod store. 2. 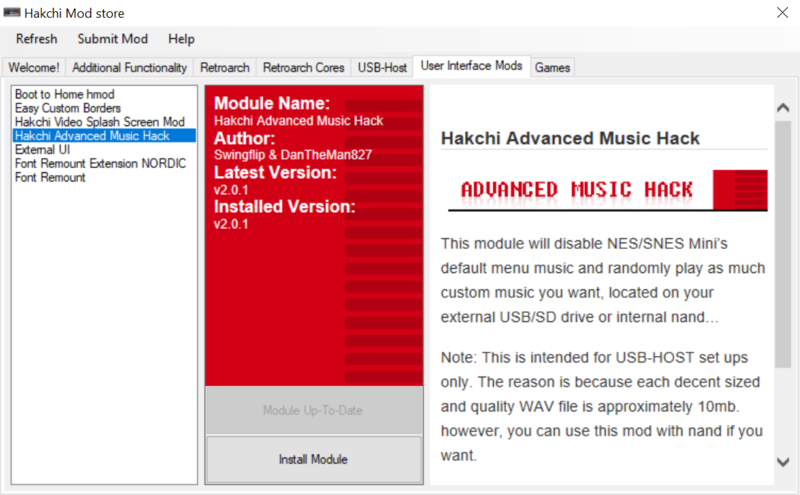 Go to the User Interface Mods tab, select Hakchi Advanced Music Hack, and hit Install Module. 3. Follow the steps on the screen. Afterwards, exit Hakchi Mod store. If you are not using the USB-Host mod, you will need to connect to your console via a FTP client. Follow the instructions here. 1. Run hakchi2, and go to Modules > Uninstall extra modules. 2. Select Advanced Music Hack and hit OK.
3. 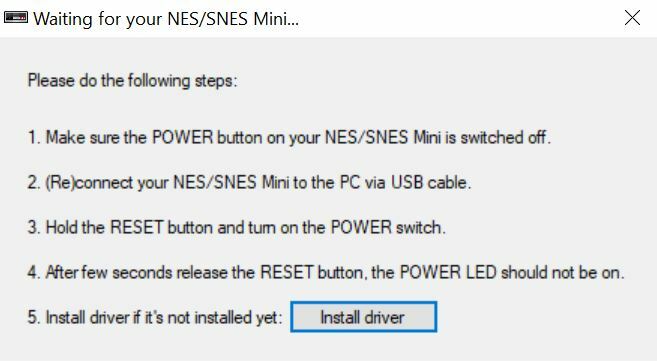 Follow the instructions on the screen and hakchi2 will do the rest.